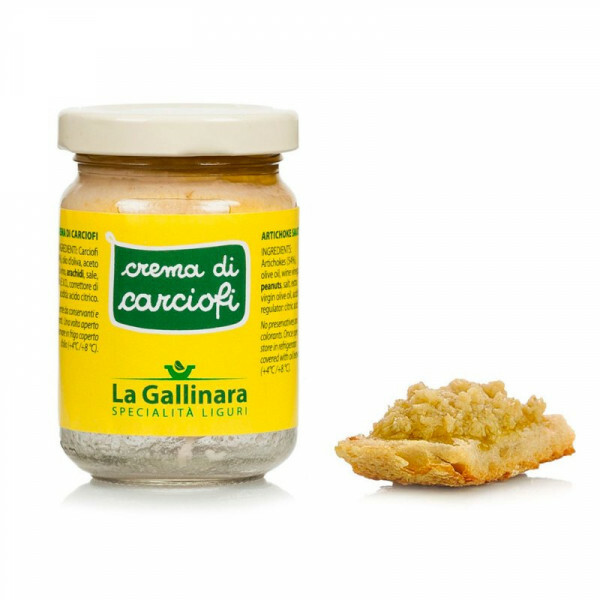 The Artichoke Cream, with its delicate taste, is just made with the most tasty and tender artichokes. It is a delicate and natural season obtained by artichoke hearts that are chopped and mixed with: olive oil, wine vinegar, salt, extra virgin olive oil. It is perfect for all light dishes, starters and finger food, such as toasted slices of bread, fish or white meat courses, and first dishes with rice. Ideal with boiled meat, roast, baked fish, risotto and spaghetti. Artichokes (54%) , olive oil, wine vinegar, peanuts, salt, extra virgin olive oil, acidity regulator: citric acid. No preservatives and colorants.